The grey gelding highlighted a big weekend Casino Prince whose black-type list is led by All Too Hard. The champion colt stands alongside his sire at Vinery. 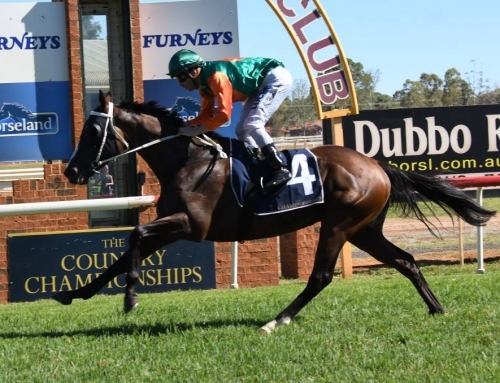 His dam Melody (NZ) was runner-up to More Than Lucky in the 2006 LR Angst Stakes at Randwick and she has an unraced 2yo filly named Onemoremelody (Onemorenomore) and yearling colt by Casino Prince. The Randwick Guineas meeting also saw the return to racing of Casinio Prince stallion Hooked after his G2 Crystal Mile victory at Moonee Valley in October. The Casino Prince gelding finished fourth in the G1 Canterbury Stakes and he remains on track for the G1 Doncaster Mile on April 4. 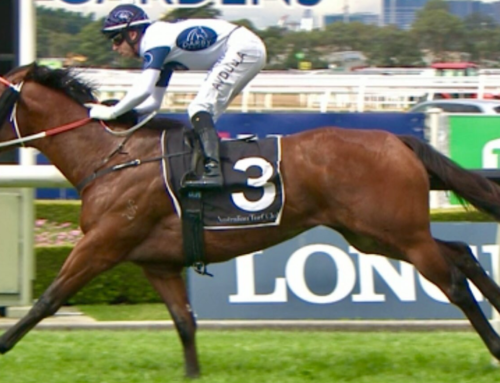 Sino Eagle is another Casino Prince ready to enlist at black-type level after winning the Mrs Mac’s Bakery Sprint (1200m) at Flemington on Saturday. The Peter Moody trained mare sent her strike-rate to 7 wins in 18 starts and over $300,000 in prizemoney since winning a Benalla maiden on debut in February 2013. 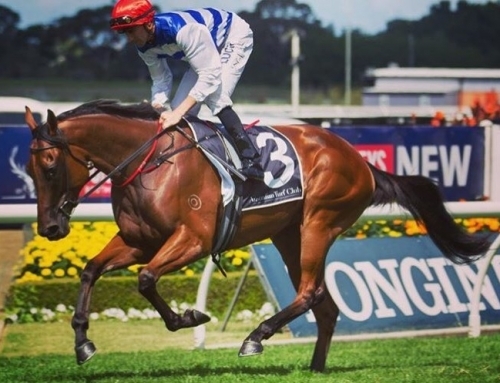 Sino Eagle (4m x Vermont Eagle by Octagonal) was bred by Raheen Stud and, after being passed-in at the 2011 Gold Coast Magic Millions, was purchased by a Vermont Football Club syndicate based in Melbourne. Raheen owner Basil Nolan sent her dam to All Too Hard last year. Casino Prince gelding Six Foot made it three metro winners with an effortless 9 length victory in the Darley Hcp (2400m) at Morphettville. His dam Lady Octa is an older half-sister to More Than Ready Group 2 winner Fritz’s Princess (AJC The Shorts) and she has a 2yo colt named Da Docta (Dubleo). Casino Prince mare Fiesty Belle complemented the Melbourne and Adelaide cards in the Edenhope Cup (2000m) on Saturday. 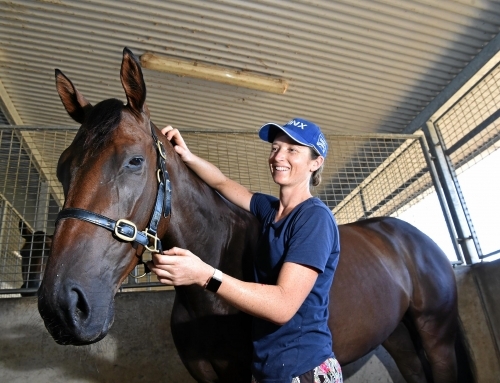 She had been winless for a year before breaking through for new trainer Ciaran Maher at Stawell last month. 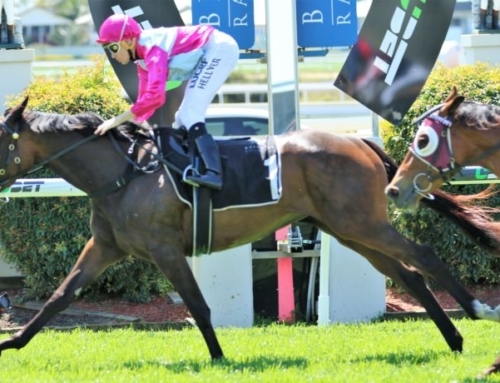 Fiesty Belle (5m x Fientina by King Of Kings) was a three year-old winner at Gold Coast and Eagle Farm and was considered a Group 1 aspirant for the 2013 Queensland Oaks. She later transferred to Victoria after selling for $57,500 as part of the Patinack Farm dispersal at the Magic Millions National Sale. 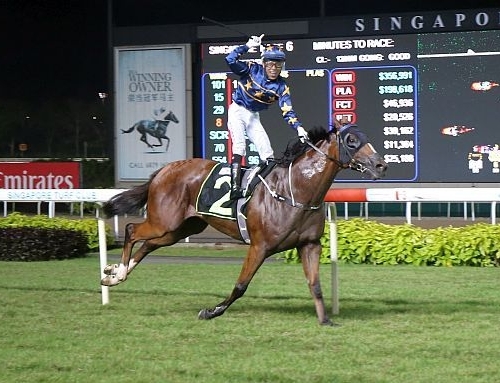 Laugh Out Loud chimed in with another Hong Kong victory for Casino Prince on Sunday. The Kenny Mann trained gelding had won at Sha Tin during a first overseas campaign and added a second with a well-timed finish to the Macau Hcp (1400m). Casino Prince (Flying Spur) is an Australian Top 25 stallion this season with 62 winners of 93 races for progeny earnings of $2.57 million. He was Australia’s champion first-season sire in 2011-12.